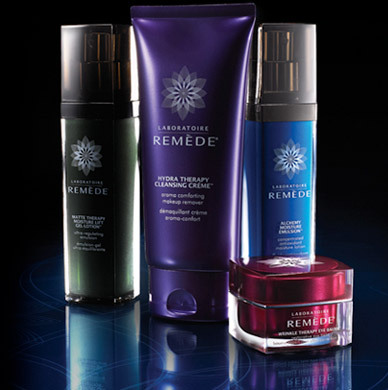 LABORATOIRE REMÈDE continues to define customized luxury with the new cutting-edge collection of targeted anti-aging skin therapies. Integrating innovative technologies with premium botanical active ingredients, each formula is engineered to protect and correct skin from damaging environmental aggressors and the natural aging process. Designed to deliver unparalleled results with both immediate and long-term benefits, skin appears rejuvenated and renewed upon applying the exquisite textures, for a truly lineless luxury. *All new formulations are paraben-, phthalate-, PEG-, and mineral oil-free.